The Alpha 10 Octopus Second Stage Regulator is pneumatically balance demand valve design regulator for ease of breathing at all depths and cylinder pressures. The balanced feature will perform flawlessly at high and low cylinder pressures automatically. 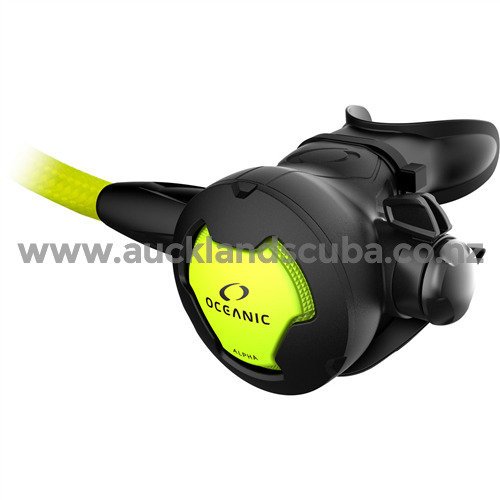 Oceanic's adjustment technology, dive/pre-dive venture control will prevent unwanted free flow when surface swimming from the shore, jumping off the back of a boat or diving into a current and a super comfortable orthodontic mouthpiece with bite tabs increase dive enjoyment. The low profile light weight second stage has a 2.66" (6.75 cm) diameter. 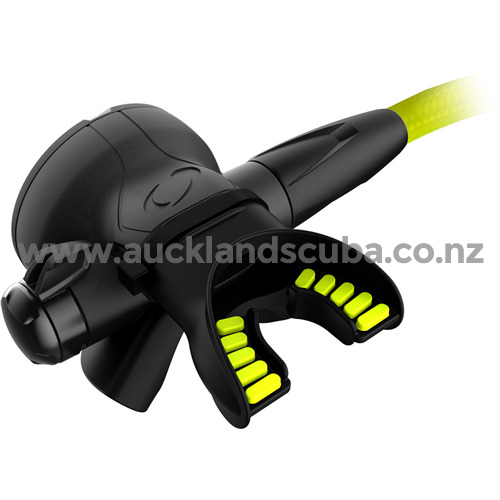 A highly durable and flexible bright yellow 36" (91.4 cm) Miflex braided low pressure 3/8" threaded hose further increases diving comfort. Regulator comes with an owner's manual. Regulator is proudly made in the USA.